This week's post is regarding my maternal 2nd great grandfather, Alexander Hamilton Jones. He was one of the 6 children of Cesar Jones and Mary H Mitchel Jones. Born in Swansboro, Onslow County, NC on or about March 5, 1852, he moved with the other members of the Jones family to Morehead City, NC by 1880. Although, I haven't been able to locate the family group on the 1870 Federal Census, I suspect that the Jones clan was living in or around the Riverdale, North Carolina area during this time. This suspicion is based on the fact that he went on to marry my 2nd great grandmother Rosa Mitchell of that town on June 4, 1880. 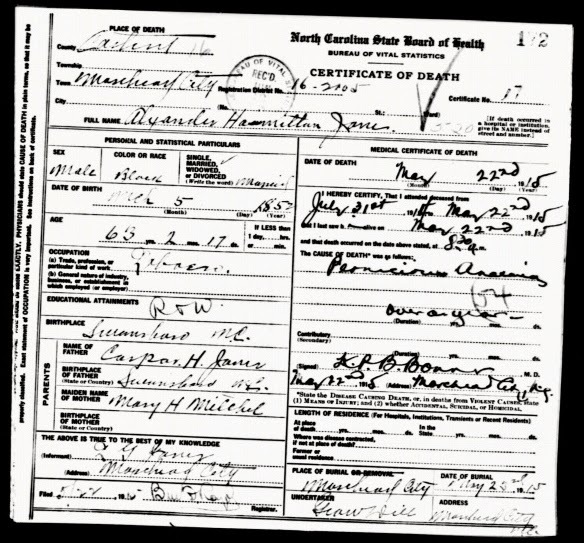 "North Carolina, County Marriages, 1762-1979 ," index and images, FamilySearch (https://familysearch.org/pal:/MM9.1.1/VXT3-DH4 : accessed 19 Mar 2014), Alexander H Jone and Rosetta Mitchell, 04 Jun 1880; citing Craven, North Carolina, United States; FHL microfilm 000288302. Mitchell, Rosetta Race: C Age: 19 Married by H. R. Pelham, at the Mitchell's Residence. Title: --Bapt. Date: June 4, 1880. Witness: Addie Williams. 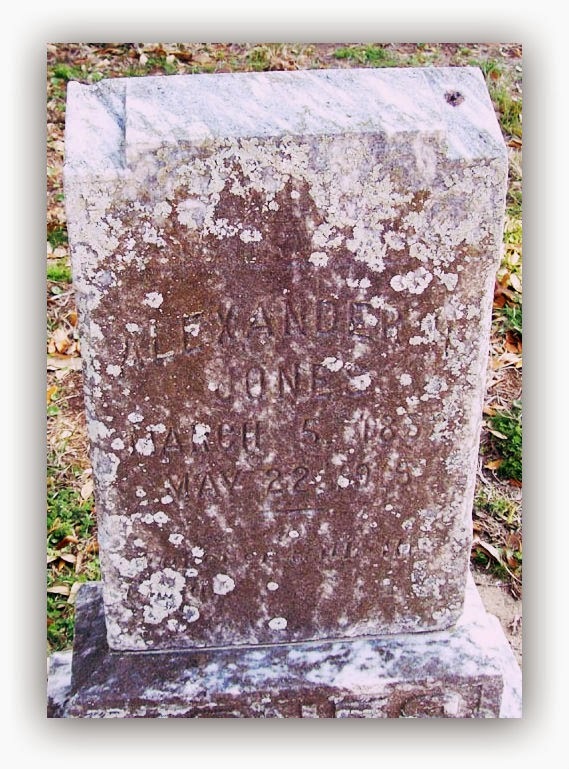 Jone, Alexander H. Race: C Age: 27 Witnesses: William Allen, David Sampson. **Here's an interesting side note regarding the witnesses. William Allen was a brother to a Chloe Allen Mitchell. Chloe Allen Mitchell was married to Rosa's older brother, Alfred Mitchell. David Sampson would go on to marry Rosa's younger sister Mary Mitchell in 1885. Alexander and Rosa Jones were parents to 6 children but only 4 lived long enough to be found in any records. By 1900, my 2nd great grandparents were property owners in Morehead City. Evidence of this can be found on the 1900 Federal Census. It appears that Alexander was able to earn a decent income from his occupation as fisherman. **Note that Alexander is shown living next door to his older brother Oliver Jones. Both own their homes free and clear. 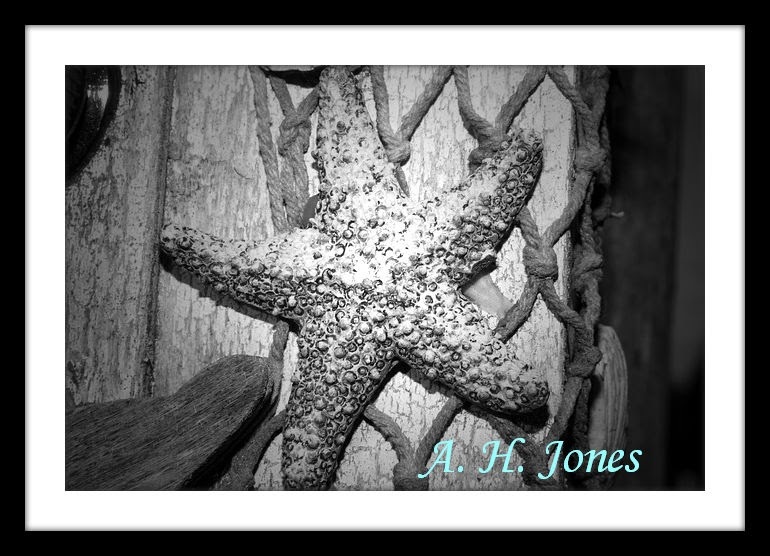 Alexander Jones was still working as a fisherman in 1910. Sadly he didn't live long enough to make it to the next census. From all their hard work, he and his wife Rosa were able to acquire several properties in Morehead City before his death in 1915. He and his wife's parents had land so it's great to see this tradition of owning property going forth into the next generation. My 2nd great grandfather died of "Pernicious Anemia" on May 22, 1915. To me it's sad that Alexander had to suffer with this disease which is so easily treatable these days. Makes me want to go take some vitamins right now. You know what I'm saying?! Original Image courtesy of Find a Grave. Photo taken by Mojo Warren. Modifications to photo done by me on Fotor.com.